The Spotify app for Windows 10 is now listed in the Windows Store. The app was announced at Build 2017 alongside iTunes. With Spotify UWP app, you can play your favorite songs and albums free on your PC. You can also stream the tracks instantly, browse the charts or fire up readymade playlists in every genre and mood. 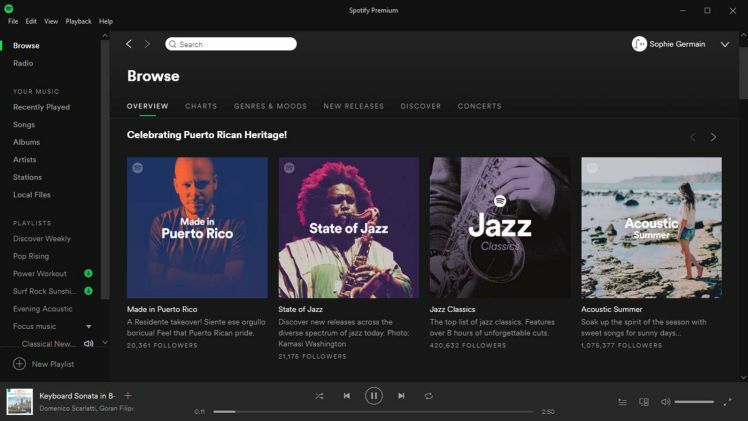 Spotify Radio can play songs, based on your music taste. Check out the official description below. • Play any song, artist, album or playlist instantly. • Browse hundreds of readymade playlists in every genre and mood. • Enjoy podcasts, audiobooks and videos. • Discover more music with personalized playlists. • Download tunes and play offline. Note that the app download link is not active yet. For more details, check out Spotify app at Windows Store page here.